For any long term reader of my writings on the post-industrial underground, it should be blatantly obvious by now that projects affiliated with the Cold Meat Industry label have constituted a constant thread of my listening choices since the mid 1990’s. This then obviously extends to the numerous musical offerings of Nordvargr which have been issued via his MANY projects over the same period. In then noting his hyper-productivity over his career to date, even in that context the last couple of years appear to have been particularly busy for Nordvargr. Likewise perhaps another relevant observation to be made, is that over the years Nordvargr has demonstrated continual creative reinventions of his working methods, where old approaches have been discarded in favour of new sounds and approaches within the broader post-industrial underground (and therefore thankfully avoids his output potentially diminishing in impact via a gradual watering down of ideas). Now with reference to Nordvargr’s current creative arc, the focus has been squarely on a ritual death industrial tangent, where Metempsychosis feels to be a culmination of this sound. To this ear, the linage of this new album can be traced in part to the album length EP The Secret Barbarous Names (reviewed here), and elements of the recent collaborations with Margaux Renaudin under the Anima Nostra moniker (reviewed here and here), in addition to drawing in external influences from the vocal led and rhythmic death industrial song based approach of Trepanseringritualen (aka TxRxP). And speaking of the later, Thomas of TxRxP is a vocal contributor on one of the album tracks. In essence the musical approach encapsulated on Metempsychosis involves somber ritual soundscapes which function as short bridging pieces between the heavily driving and rhythmic/ tribal/ industrial beat driven songs. In also utilising a perhaps non-typical elements for this sort of material, a bass guitar is prominently featured to provide a throbbing rhythmic undercurrent to match the real drums, ritual percussion and verse/ chorus/ verse gruff vocals. A particularly good example of this mix is on First East, where the bass line is coupled with stoic martial tinged percussion for strongly rousing result. While the bass playing on Salve Teragmon borders on being overtly groovy, it fits neatly with the clanging pounding percussion to create a driving mid-paced furrow, and consequently stands out as one the album’s most recognizable offerings. Sweet Death Triumphant also features as another album standout based on the slow pounding percussion, blaring foghorns, and guttural anthemic repeated chorus, which combine for an absolute immediacy of impact. But rather than that last statement being mere hyperbole, it was literally proven at the Cold Meat Industry 30th Anniversary pre-show, as when Nordvargr played Sweet Death Triumphant live for the first time, the crowd responded with an unscripted sing along (despite no-one having heard the track before that moment it was being played). 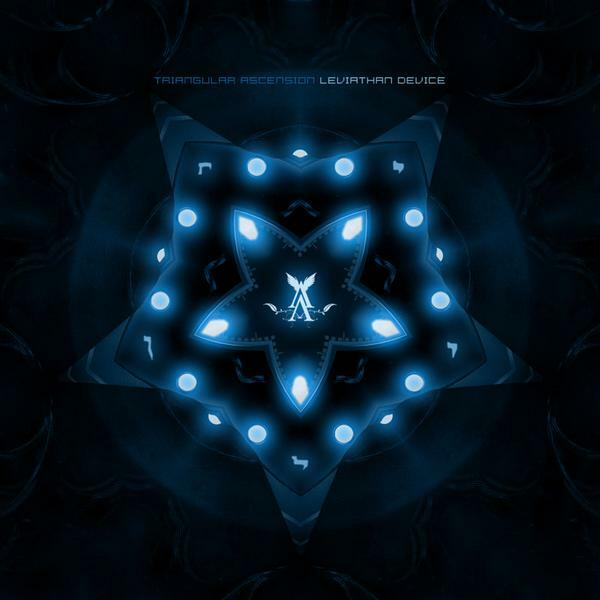 Featuring ten tracks in all, and with the use of real instrumentation mixed alongside the synthetic produced elements, it results in the material sounding to be more of a band than solo studio project, and provides a tangible human essence which is sorely missed when music is crated by computer means alone. The sonic quality provided by its real instrumentation and song focused tracks functions to added to the overall listening experience, where this album has proven itself to be engaging album by virtue of being regular rotation over recent months – such is the benefits of being provided with early versions and the final mix well in advance of its formal release date. 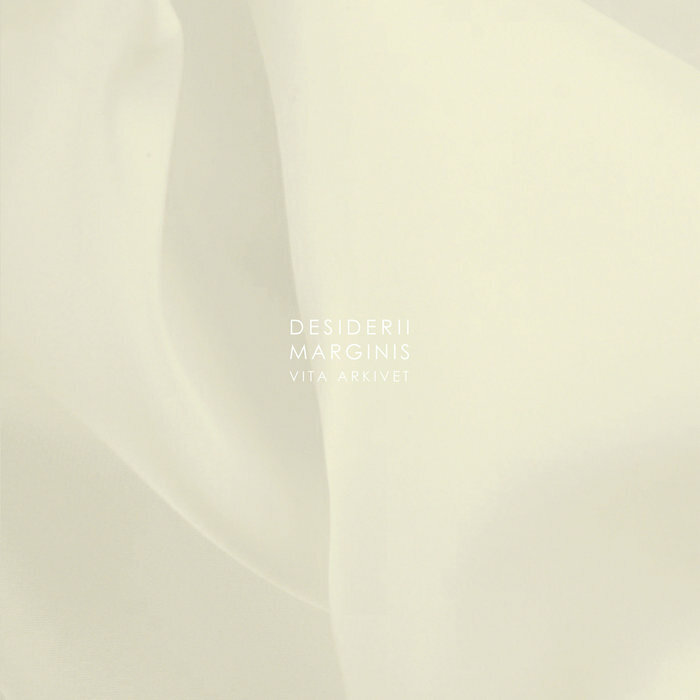 While it then remains to be seen whether Nordvargr will continue on this creative path, or perhaps again forges off in new directions, it certainly feels as if there is far more creative territory to be covered within this current stylistic approach. But before that question is answered by the next release, Metempsychosis stands as another pinnacle album in the ever-expanding creative cannon of Nordvargr. Vinyl, CD, cassette and digital rounds out the options for format, evidently with slight variations in track listing on each. Clearly not being a project to rush their releases, the long-standing and cult revered In Slaughter Natives has resurfaced after a 10 year break from the last formal album ‘Resurrection’, which in turn was preceded by an 8 year gap between it and 1996’s ‘Purgate My Stain’. Despite these long passages of silence it is great to see that In Slaughter Natives is still active after all these years, considering that the debut release was issued way back in 1989. Regardless of the slow pace of releases unquestionably In Slaughter Natives were hugely influential in establishing the ‘Cold Meat Industry’ sound and more broadly the northern European industrial underground. Likewise in hindsight it can be acknowledged that In Slaughter Natives were a precursor the ‘martial industrial’ genre, although their trademark orchestral industrial doom has stood out from and has not been replicated by the majority of projects of a ‘martial industrial’ style (which are predominantly influenced by early to mid-20th century history and era). Thus In Slaughter Natives stand apart with their distinctive and recognisable neo-classical compositions, which articulate a hellish atmosphere of religious laments and amounts to a sonic representation of purgatorial damnation. With this necessary background out-of-the-way, evidently ‘Cannula Coma Legio’ is technically not the new album from the group, rather is billed a stop-gap release prior to the release of the actual new album in 2015. So for this release it contains 3 new tracks which are set alongside a series of reworked and upgraded versions of earlier material. Yet interestingly all of the material which has been brought together for this release works perfectly as a coherent whole. This has been achieved by the fact that new versions substantially differ from the originals versions to the point of being almost unrecognisable, and in a number of instances the original melodies and structural elements of known compositions only reveal themselves after multiple detailed listens. This is most evident for the updated versions of the earliest reworked material, where in some instances the programmed sound of the original versions have not held up fully with the passage of time. Yet the reason why the new versions work so well here, is that they have ben elevated to full bombastic orchestral intensity. 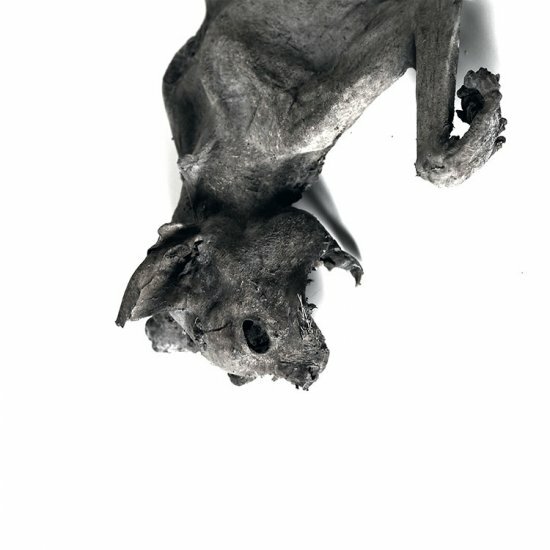 With ‘Cannula Coma Legio’ seamlessly merging brooding and understated neo-classical passages with sections of booming orchestral bombast, the greatest reference point is with respect of ‘Purgate My Stain’ (THE classic in In Slaughter Natives discography), an album with a slow building intensity which explodes into passages of orchestral doom at appropriate moments. Given this new album manages a similar sound and approach to ‘Purgate My Stain’, is clearly an indication of how ‘Cannula Coma Legio’ is appreciated around these parts. Do not let the fact that this album is promoted as a teaser for the new album give any sort of impression that this material is second-rate. ‘Cannula Coma Legio’ is as strong as ‘Purgate Mt Stain’ thus demonstrating In Slaughter Natives are still an underground heavyweight. It is also fantastic to see the project releasing some of their strongest material some 25 years since the debut. Bring on the next release! Following this site’s glowing review of Triangular Ascension’s debut album ‘Leviathan Device’ (review here), this sophomore album was awaited with anticipation and from the first cursory listen it is apparent the engaging and animated sonic template is again a central feature. However this time around the main dark ambient focus is complimented by selected tracks displaying a musicality which borders on the martial industrial and neo-classical genres. Another noted deviation is where ‘The Chronos Anomaly’ appears to favour individual tracks within the album context, whereas ‘Leviathan Device’ presented interlinking tracks as part of a bigger whole. So on face value at least the introduction of these aspects avoids a mere repetition of the debut. 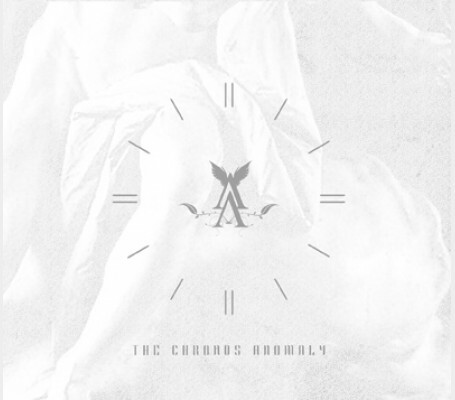 On ‘The Chronos Anomaly’ the attention to the recording’s sonic clarity is again superb, containing a dense, heaving and bass heavy undercurrent, complimented with layered tonal drifts, washes of synth melodies and tasteful use of field recordings such as aquatic tonal elements, wind, chimes, insects, birds etc – but in no way sounding ‘new age’ despite what the later part of this description might imply. Surprisingly an acoustic guitar and maudlin flute make an appearance on ‘Sandstorm’, which provide a focal point against the sweeping dark ambient undercurrent. Likewise the use tribal percussion and sampled choir vocals of ‘Above The Remnants’ are stunning, being another of the album’s more musically focused pieces. On the final album track (the tellingly titled ‘Final Movement’), the melancholic neo-classical horns and orchestral strings drive the composition, whilst an almost flamenco styled acoustic guitar make a brief appearance. Given this tracks provides the concluding statement for the album, it clearly reinforces the differing composed elements which are to be found. Regarding the conceptual focus of the album the promo states: “The Chronos Anomaly is a representation of the struggle of man against the illusion of a past and a future and the subsequent degradation of our mind, body and soul. It invites the listener to open their eyes and consciousness to a state where time is but a memory, and memories are but products of the mind, where nothing is external”. Noting this is quite philosophical content to encapsulate within an abstract musical form such as dark ambience, the masterful control of tone and atmosphere at least means such a description does not sound contrived. Given it appears that Triangular Ascension has sought to avoid merely retreading the same sonic template as the debut, ‘The Chronos Anomaly’ has achieved a similarly strong album through slightly more musical and composed means. Although having not come across Lamia Vox before, they have recently joined the ranks of Cyclic Law (who have issued this their sophomore album), which will no doubt bring them into greater recognition. Being the solo project of Alina Antonova, Lamia Vox evokes a sound and aesthetic which is sits very much at home in the ‘classic’ early to mid 90’s period of Cold Meat Industry (CMI). This is dark ambient music at its core, but approached from a more songlike perspective with the use of ritual, martial and neo-classical elements (…or more simply this is ‘occult dark ambient’ as coined by Alina). Passing comparisons to the likes of In Slaughter Natives, Sephiroth, Desiderii Marginis etc will give an impression of stylistic linage, however this is not to say that Lamia Vox are merely retracing the well warn paths forged by others. Given the maturity of the compositions and the stylistic flair on display, it ensures that Lamia Vox have carved a niche of their own. However another possibly unavoidable comparison is Aghast, due to the use of Alina’s vocals – ranging from ghostly whispers to choir like vocal textures – which are used sparingly throughout. The heavy martial/ tribal percussion of ‘Lapis Occultus’ sets the ritualistic aura of the album early on and acts as a backdrop for whispered and sung twilight evocations. Likewise mid album track ‘Enemy of Heaven’ arrives as a particularly rousing composition within a martial industrial construction. Here the militant snare drum provides focus, but offset against a deep piano melody, rousing orchestral textures and choir like vocals. Following track ‘Liberation’ again approaches full martial/ neo-classical guise being a great example of a swelling orchestral and choir movement. Alternately the stalking sub-orchestral brass movement of ‘Evil Comes From the North’ gradually builds with ominous tribal percussion and hypnotic synth textures, which in part gives rise to comparisons to the tribal flair of Sephiroth. Likewise the darkly foreboding classical style of the title track ‘Sigillum Diaboli’ reaches ecstatic heights with its swelling orchestral brass and percussion, which also brings to mind the best parts of In Slaughter Natives’ purgatorial bombast. Although not wanting to denigrate Lamia Vox by a potential overuse of CMI related comparisons, conversely this should be viewed as a clear compliment. 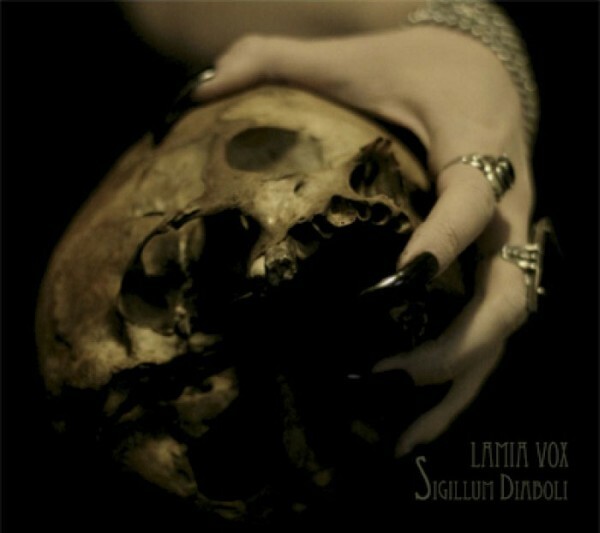 Given its shadowy tone and sophisticated execution, ‘Sigillium Diaboli’ is proof enough of Lamia Vox’s skills within the sonic dark arts. The Canadian label Cyclic Law has over the course of the last ten years slowly raised their profile to that of a leading light within the broad fields of dark ambient music. During this process they have released established acts, built the profile of younger ones and launched the careers of others. Triangular Ascension, a Venezuelan dark ambient project, is one such act that Cyclic Law have recently launched but I have only just picked up on. However from a cursory listen it is absolutely clear as to why Cyclic Law signed Triangular Ascension to release ‘Leviathan Device’ as their debut (which I understand was submitted to the label as a demo). Having listened to a substantial number of dark ambient albums over the past 17 years, there are few albums which have an immediacy such as this, i.e: being able to launch themselves into your psyche from the first listen and also to reveal new sonic elements on subsequent listens. In general terms ‘Leviathan Device’ inhabits sweeping dark ambient territory, but rather than being murky and shadowed in scope, this is multileveled in its sonic clarity. The tonal qualities include deep and stormy bass drones, galactic fog horns, melodic wailing textures, subtle rhythmic/ percussive elements and detailed textural noise at the higher ends. In this regard the sound production is immaculate, achieving a crystalline sound where all elements are balanced and audible within the mix. Yet rather than being floating, abstract and passive like many dark ambient acts, ‘Leviathan Device’ is an active and engaging listening experience. Here a subtle rhythm undercurrent and cinematic quasi-orchestral melodies constitutes the engine which drives the overarching atmosphere of the album and provides a central focus throughout. There is also a significant degree of variation between the nine album tracks which interlink over an hour playtime. Some tracks are subdued, others forceful, but always the flow between pieces is impeccable, again raising the cinematic scope of the material. 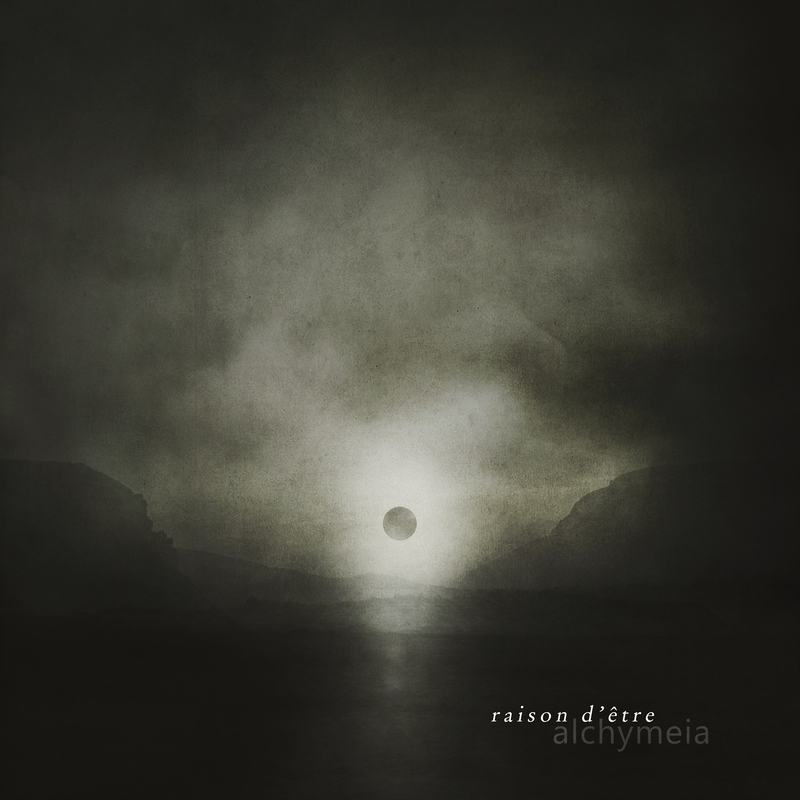 Also whilst being clearly within a dark ambient style, this is not all doom and gloom as the use of slow droning melodic elements evokes a contemplative tone than anything particularly depressive. Even if dark ambient fare is only of passing interest to you, do not ignore this act. Triangular Ascension deliver meticulously detailed and animated dark ambience of the highest calibre, which highlights the pure folly on my part for not checking them out sooner.